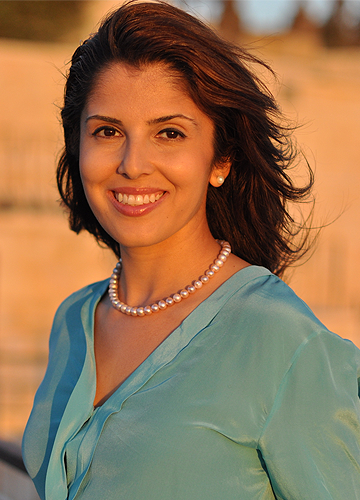 Atia Abawi, Acclaimed author and award winning foreign correspondent for CNN and NBC based in the Middle East. Atia reported on various international stories for CNN -including the Aung San Suu Kyi trial – where she had to sneak into Myanmar’s military state and film covertly – and the Gaza Flotilla attack of 2010 by Israeli forces. In 2010, NBC News hired Atia to report and manage its operations in Afghanistan. Additionally, she also reported from London as part of NBC’s Royal wedding coverage, and was a part of the NBC News special report after the US raid that killed Osama Bin Laden, providing analysis and commentary. She was also able to obtain an NBC Exclusive interview with President Hamid Karzai in 2012 – the first for the network in a decade. Atia’s first book, “The Secret Sky: A Novel of Forbidden Love in Afghanistan” was published by Philomel, an imprint of Penguin Group, in September 2014. Her new book, "A Land Of Permanent Goodbyes", will be released on January 23, 2018. The story will be based on the ongoing Syrian Refugee Crisis, looking through the eyes of a Syrian teenage boy who flees with his family to Greece and Germany. The Syrian refugee crisis resonated with Atia because of her own family’s history as Afghan refugees who made their way to Germany and ultimately the USA. She has won numerous awards for both her journalistic achievements and written word, including The George Foster Peabody Award and The DuPont-Columbia Awards.